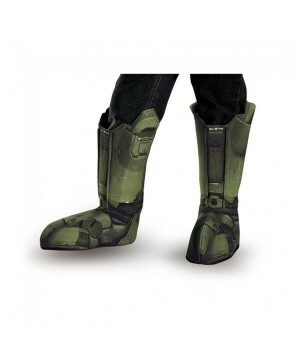 Take to space as you become the elite Spartan, from the famous game franchise Halo. 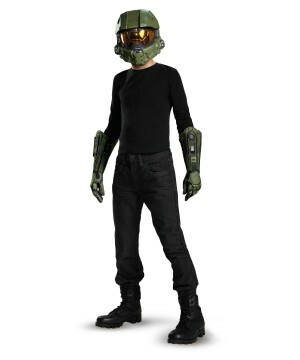 Watch your child go out for Halloween looking as strong and powerful as an actual Spartan, eliminating aliens to save the world. Or in this case, getting more candy than his friends. 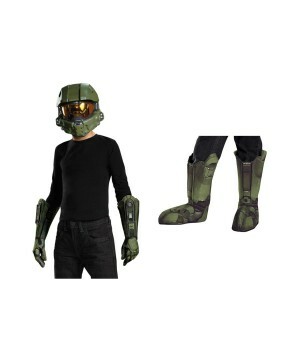 The Spartan Boys Costume contains a red muscle jumpsuit, to give it a nice, realistic touch. 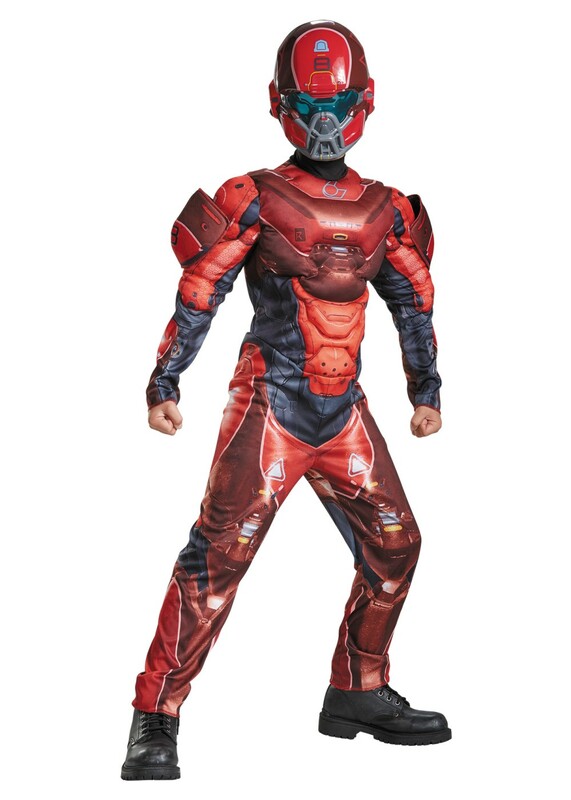 It also includes a red character helmet to match with the stylish suit. 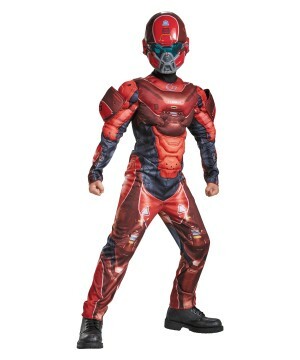 This sleek, Red Spartan Muscle Boys Costume is fits children sizes Small (4-6), Medium (7-8), Large (10-12) and X-Large (14-16). 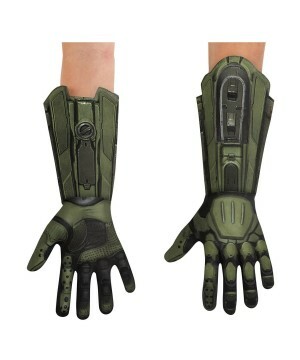 Review(s) for " Halo Red Spartan Muscle Boys Costume"